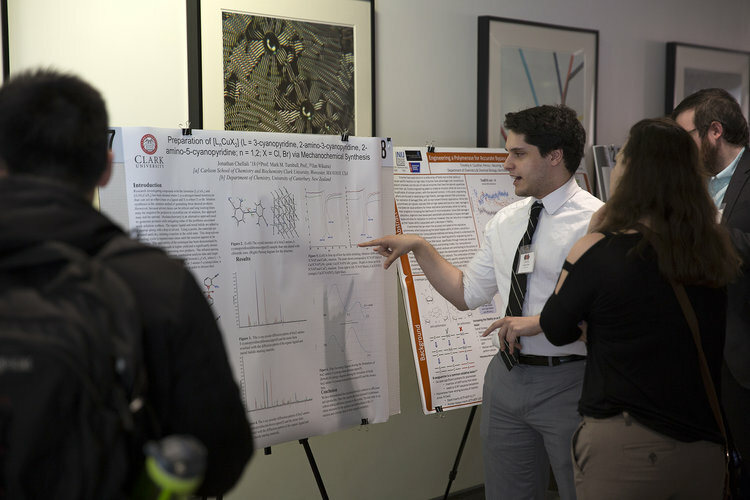 The 20th annual Northeast Student Chemistry Research Conference was held at Northeastern University in the new Interdisciplinary Science & Engineering Complex (ISEC) on Columbus Ave on Sunday, April 15th. The 20th Annual NSCRC was a great success! Thank you to everyone who joined us to make the conference sucessful and congratulations to the outstanding presenters who our judges recognized with awards for their excellent research presentations. 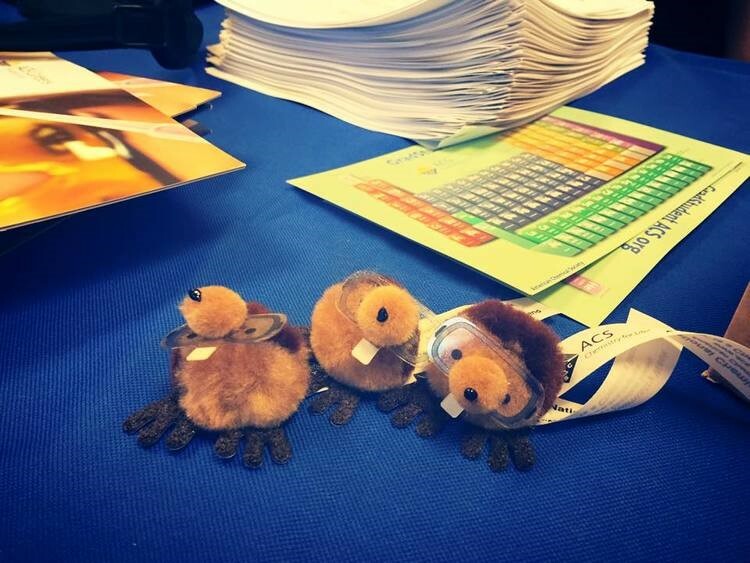 Keep an eye out for information about our involvement at the Fall ACS National Meeting in Boston, our Fall Career Symposium, and next years NSCRC! 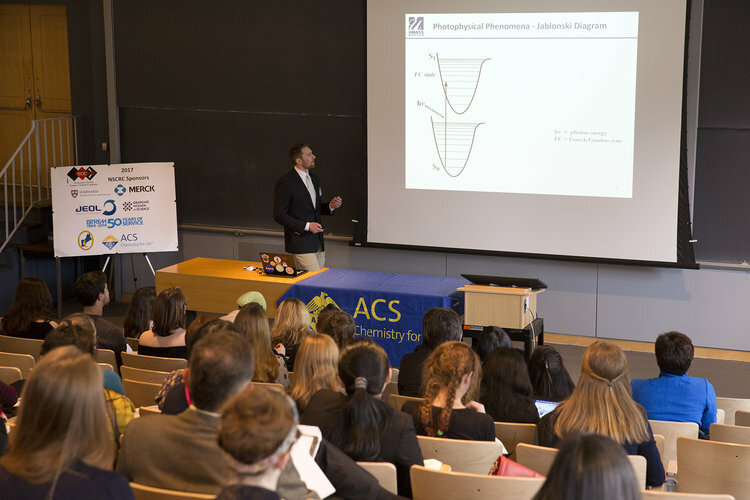 The Northeast Student Chemistry Research Conference (NSCRC) is organized for students by students. It is devoted to the research of undergraduate, graduate, and post-doctoral chemistry students, providing an opportunity for students to share their work in a relaxing atmosphere. 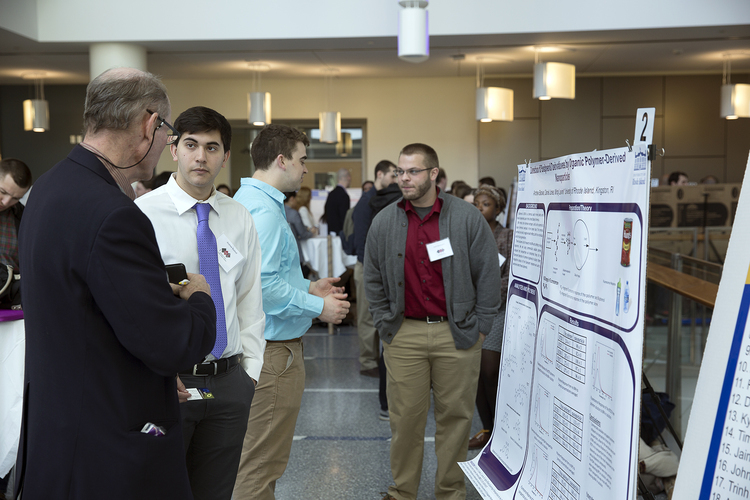 The day-long event features student poster and oral research presentations, awards, and catered lunch. 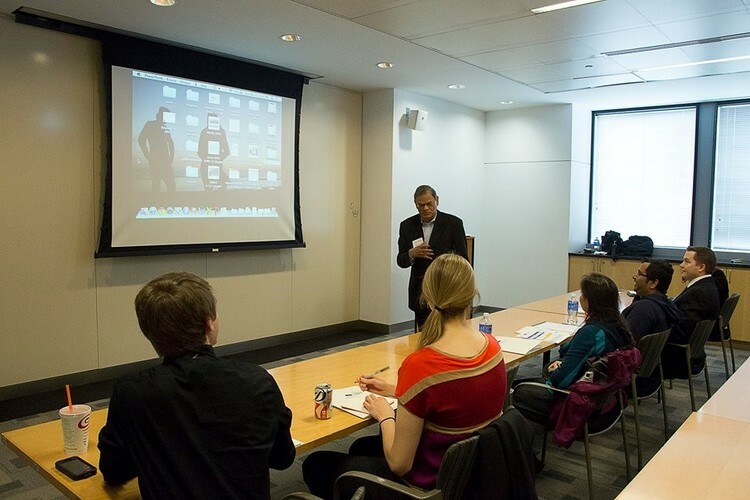 The conference encourages students to network and get feedback from their peers. The 1st NSCRC was held April 24, 1999 at the Massachusetts Institute of Technology (MIT). 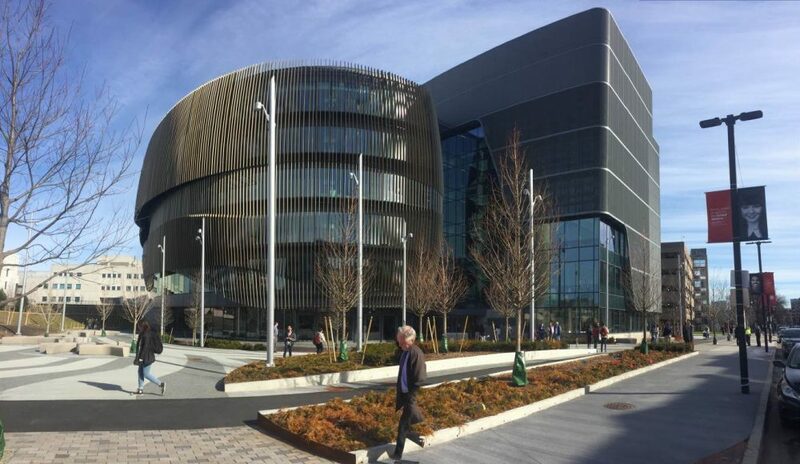 Registration is now open for the 20th Annual NSCRC will be held at Northeastern University on Sunday April 15th, 2018. 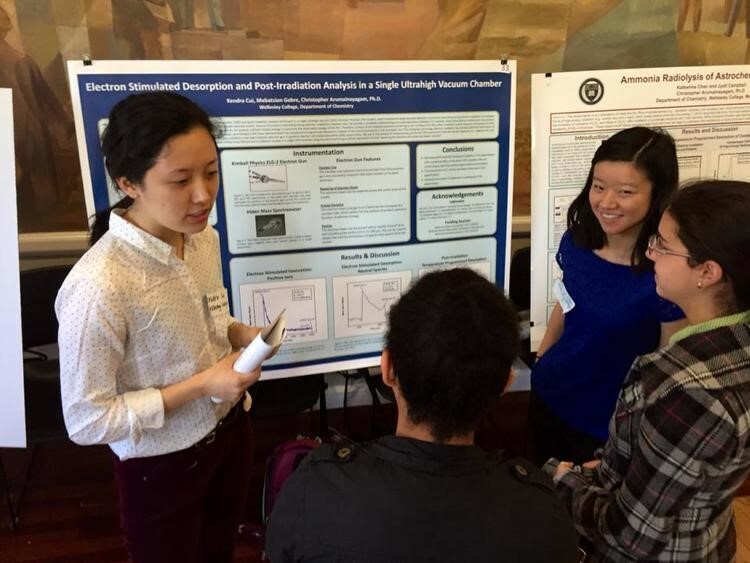 The 19th annual Northeast Student Chemistry Research Conference was held at Harvard University on Saturday, April 8th, 2017. Below you will find photos and info from the past conference. 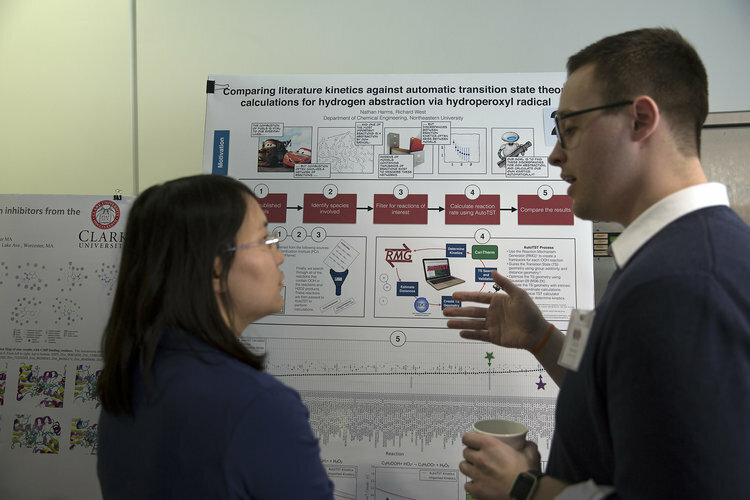 Registration is now open for the 19th Annual NSCRC, which will be held at Harvard University at the Mallinckrodt Building on Saturday April 8th. Check back regularly for more updates and information! 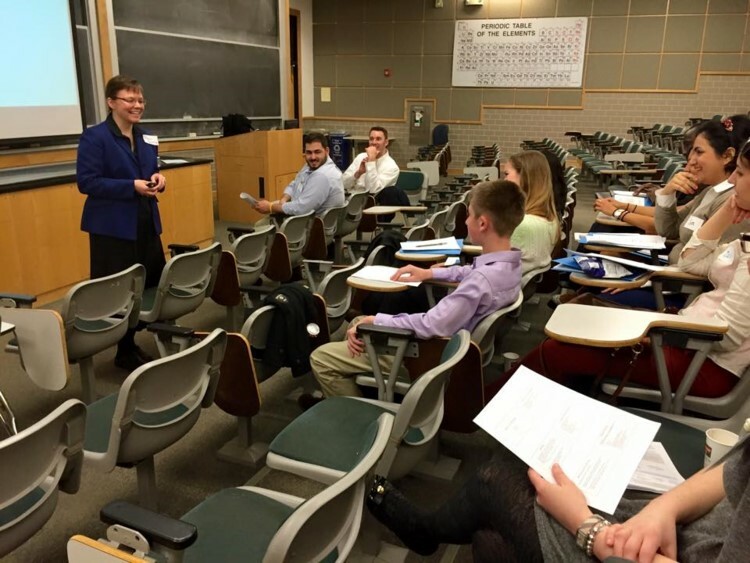 In 2016, Dr. Laura Pence was elected to the American Chemical Society Board of Directors from District I, encompassing all of New England and New York State. She spends her day job as a Professor of Chemistry at the University of Hartford with expertise in environmental chemistry, inorganic chemistry, and chemical education. 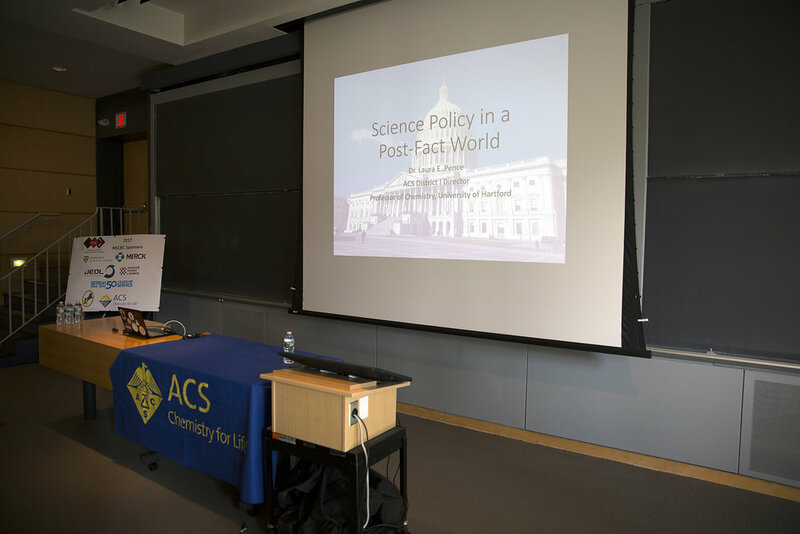 In 2012-2013 Dr. Pence spent a year as an ACS/American Association for the Advancement of Science (AAAS) Congressional Science Policy Fellow in the office of Sen. Michael Bennet (D-CO), where her policy portfolio featured natural resources, energy, and environmental issues, with a particular emphasis in the areas of water and forestry. Since then she has continued to explore the nexus of science and public policy, and is currently on the planning committee for a state level science policy fellowship program in Connecticut. Dr. Pence is an outstanding educator, winning the University of Hartford’s Roy E. Larsen award for Excellence in Teaching in 2006 and ranking among the top 25 professors nationally in RateMyProfessor.com’s 2014 survey. Prof. Pence received her B.S. in chemistry from Lebanon Valley College and her Ph.D. from Michigan State University. Subsequently, she was a National Institutes of Health Fellow at Massachusetts Institute of Technology. She was named a Fellow of the American Chemical Society in 2011 for her programming and leadership on environmental and sustainability issues. 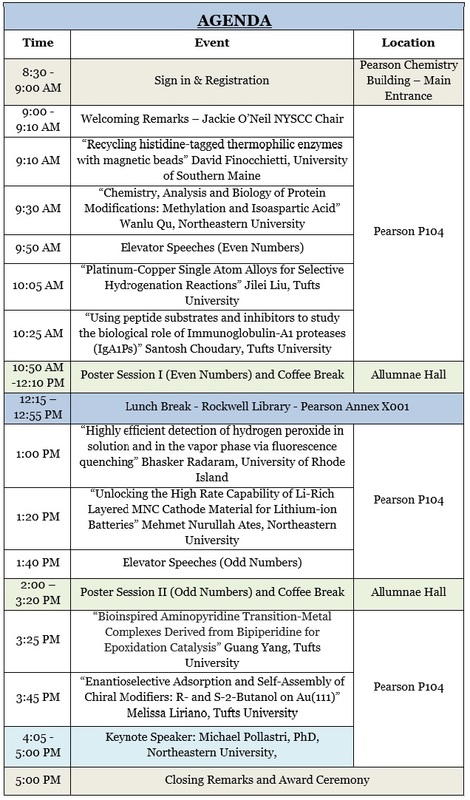 The 18th Annual Northeast Student Chemistry Research Conference (NSCRC) will be held at University of Massachusetts-Boston's Integrated Sciences Complex on Saturday, April 16th and our Career Symposium will be held Sunday, April 17th. Traditional applications of metal-organic frameworks (MOFs) are focused on gas storage and separation, which take advantage of the inherent porosity and high surface area of these materials. The MOFs’ use in technologies that require charge transport have lagged behind, however, because MOFs are poor conductors of electricity. We show that design principles honed from decades of previous research in molecular conductors can be employed to produce MOFs with remarkable charge mobility and conductivity values that rival or surpass those of common organic semiconductors and even graphite. We further show that these, ordered, and crystalline conductors can be used for a variety of applications in energy storage, electrocatalysis, electrochromics, and selective chemiresistive sensing. Another virtually untapped area of MOF chemistry is related to their potential to mediate redox reactivity and heterogeneous catalysis through their metal nodes. We show that MOFs can be thought of as unique macromolecular ligands that give rise to unusual molecular clusters where small molecules can react in a matrix-like environment, akin to the metal binding pockets of metalloproteins. By employing a mild, highly modular synthetic method and a suite of spectroscopic techniques, we show that redox reactivity at MOF nodes can lead to the isolation and characterization of highly unstable intermediates relevant to biological and industrial catalysis, and to industrially relevant catalytic transformations that are currently performed only by homogeneous catalysts. Communicating scientific research effectively to the larger community is very important. For this reason NSYCC would like to give attendees at the NSCRC an opportunity to present their research in an "elevator speech" . Presenters will have a chance to promote their research prior to the poster and the seminar sessions, which could increase the attention that they get during throughout the rest of the conference. Each speaker will get 2 minutes with one powerpoint slide (no animations) sent ahead of time to treasurer@nsycc.org by Tuesday April 12th. The best "elevator speech" will be awarded with a prize and recognition. Those who expressed their interest to give a pitch in their abstract submission will receive more information on their presentation soon! $50 Excellent Elevator Pitch Award sponsored by JEOL USA, Inc.
$100 Outstanding Undergraduate Student Poster sponsored by JEOL USA, Inc.
Dr. Ling-Fang Tseng - Living Proof Inc.
Dr. Mukund Chorghade is a serial entrepreneur, President and Chief Scientific Officer, THINQ Pharma / THINQ Discovery, and of Chorghade Enterprises. He is the Chief Scientific Officer of Chicago Discovery Solutions, an adjunct research professor at Northeastern University and has appointments at Harvard, MIT and Princeton. Dr. Chorghade will be giving advice from his many years of experience with starting his own company and how chemists can take their career far. Roy and Patrick are career consultants with both industrial (R&D, Manufacturing, Project Management, Divisional Staff, and Department Management) and academic (Lecturer and Adjunct) experience. They have joined forces that apply to present career programs for undergraduates, graduate students, post-doctoral fellows, and mid-career scientists/engineers. Get your resume reviewed by an HR professional! Professionals from JEOL USA will be providing 10 minute resume review session throughout the day. 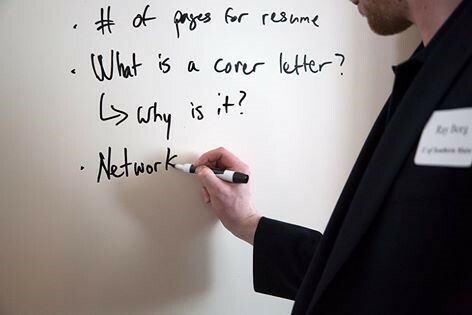 Find out how to make your resume stand out from someone in charge of hiring! Bring a printed copy of your resume and sign up for a time at the registration table. Spaces will be filled first-come first-serve. The half-day event will end with a social event at The Banshee in nearby Dorchester where participants can practice their newly developed networking skills over a drink. Communicating scientific research effectively to the larger community is very important. 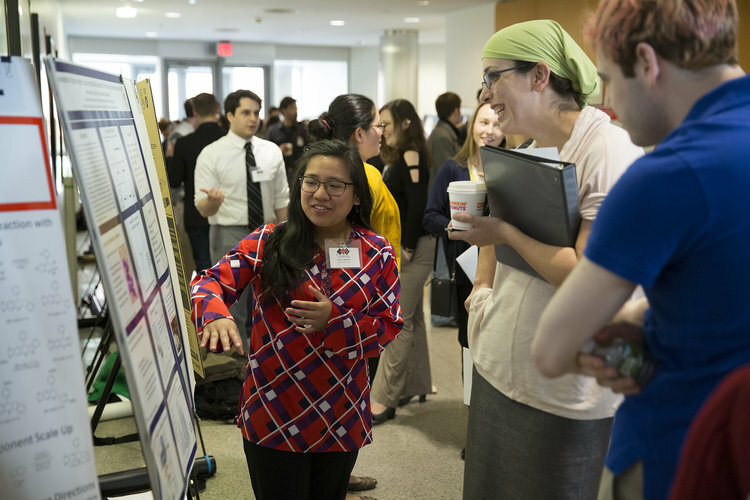 For this reason NSYCC would like to give attendees at the NSCRC an opportunity to present their research in an "elevator speech" . Presenters will have a chance to promote their research prior to the poster and the seminar sessions, which could increase the attention that they get during throughout the rest of the conference. Each speaker will get 2 minutes maximum with no additional materials. The the best "elevator speech" will be awarded with a prize and recognition. Prof. Pollastri’s primary research focus is on discovery of new therapeutics for neglected tropical diseases, using a “parachute” or “repurposing” approach. In this approach, he identifies parasitic targets of importance that have been previously biochemically validated, with a further focus on those targets with human homologs that have been pursued in human drug discovery. Prof. Pollastri’s lab then prepare known ligands previously reported against the human homolog for assessment against the parasite target, and then pursue an optimization program from that starting point. His lab’s first project is focused on trypanosomal phosphodiesterases, enzymes that have ~30% homology to human PDE4 and 5. Other projects focus on trypansomal TOR, Aurora kinases, dihydrofolate reductase, and HDACs. Prof. Pollastrli’s secondary area of focus is on chemical technologies. Projects in this category include diversification of lead compounds using reaction screening approaches, applications of flow chemistry, and Green Chemistry. The 2015 Career Symposium on Sunday, April 19th. 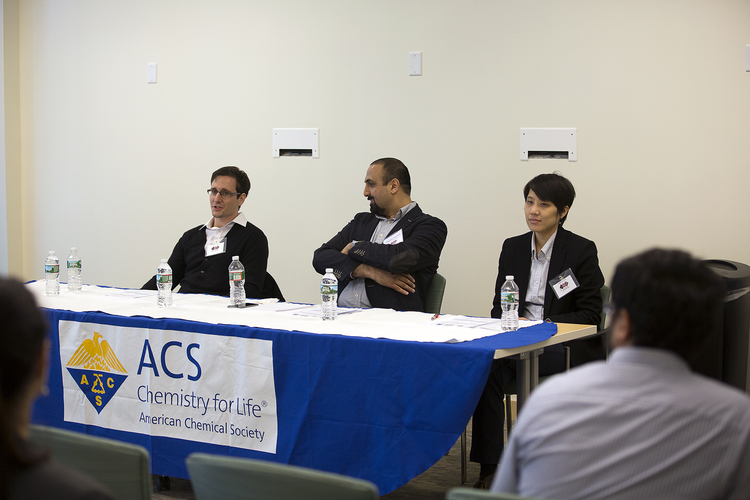 The event will take place at Tufts University’s Department of Chemistry. Please join us as successful chemists discuss the paths which lead them to their fruitful careers. Register here for the symposium and/or the conference. If you have questions regarding the event, please email careers@nsycc.org. Do you know how to properly integrate your references? Do you know the criteria for authorship? Did you know you can plagiarize yourself?! As a burgeoning scientist, one of the most important things you can do for your career is to publish as much as possible; but there are some simple errors that can lead to big consequences. This workshop will address the process of publishing and your concerns to ensure you're publishing and producing work in an ethical manner. Tufts is located along the Red Line, a 5-10 minute walk from Davis Square Station. Follow College Avenue and then make a left onto Talbot Ave. The Pearson Chemistry Building (pictured below) will be on the left side of the road just past the Tufts Art Gallery and across from the Campus Bookstore. There will be no parking restrictions or payment required at Tufts during the weekend of April 18th & 19th. There is ample parking in front of the Pearson Chemistry Building on Talbot Avenue or in the parking lot at the corner of Talbot and College Avenue. The daylong event will end with a social event at Orleans in nearby Davis Square, where participants can practice their newly developed networking skills over a drink. Dr. Mariam Ismail develops processes for 1366 Technologies, a Massachusetts-based solar technology company aiming at delivering solar at the cost of coal. She has 10 years of experience in analytical methods and crystal growth. In 2011, Dr. Ismail received her PhD in Chemical Engineering from Northeastern University, Boston, MA. Throughout her work at the Center for Advanced Microgravity Materials Processing Center (NASA-sponsored Lab, Northeastern University), she developed a novel method for the hydrothermal synthesis of vanadosilicate AM-6 for enhanced visible light photocatalysis. Her work resulted in 10 technical publications, over a dozen national and international conference proceedings, and a book chapter. In 2011, she was the recipient of the American Institute of Chemists award for Outstanding Graduate Student. In 2009, she was selected amongst a large pool of applicants to partake in the YCC/NESACS-JCF/GDCh Exchange to Germany Program. From 2009 to 2011, Dr. Ismail acted as Career Chair and Campus Representative for the Northeast Section of the Younger Chemists Committee. Dr. Ismail is also an adjunct faculty to the Chemistry & Physics Department Simmons College. She holds a B.S. in Chemistry from University of Massachusetts. Dr. Christopher A. Zoto, Ph. 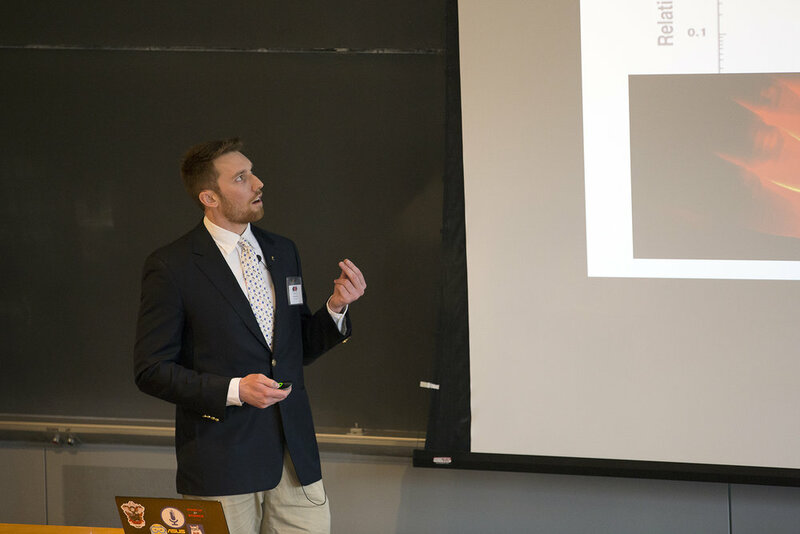 D: As an undergraduate student at Assumption College (Worcester), Christopher Zoto studied chemistry and mathematics and was part of the Outdoors Club and St. Luke’s Medical Society Group. He graduated in May of 2006. He began his graduate studies at Worcester Polytechnic Institute (WPI) in Worcester, where he pursued his Ph. D. degree in chemistry, graduating in July of 2012. Chris’s Ph. D. dissertation work involved the syntheses of a series of conjugated organic compounds called 2-arylidene cyclopentanones and 2,5-diarylidene cyclopentanones. The spectroscopic and photophysical properties of these compounds consisted of examining their electronic absorption and fluorescence spectral properties in solvents of various polarity, ranging from nonpolar to polar, aprotic and protic solvents. Photophysical properties consisted of measuring both their fluorescence quantum yields and lifetimes in various solvents. In addition, theoretical (quantum chemical) calculations were also conducted and correlated to experimental data. Since completion of his Ph. D. degree from WPI, Chris was employed as an adjunct faculty instructor at WPI for experimental physical chemistry II lab in the Fall of 2012 and as an adjunct faculty instructor at Assumption College, where he taught two lab sections of Organic Chemistry I. He is currently employed as a Postdoctoral Research Scientist at the United States Army Natick Soldier, Research, Development, and Engineering Center in Natick, MA. Outside of work, he enjoys spending time with friends and family, going to church, reading, and listening to music. Penny Beuning, Ph. D Penny Beuning earned a B.A. in Chemistry from Macalester College in St. Paul, MN and a Ph.D. from the University of Minnesota in the field of RNA-protein interactions and RNA biochemistry. 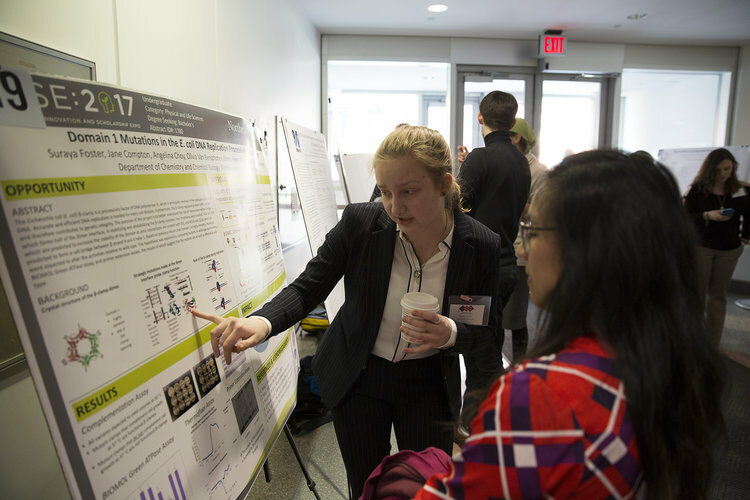 She completed postdoctoral research focused on the protein-protein interactions that regulate cellular responses to DNA damage at the Massachusetts Institute of Technology (MIT), funded by a fellowship from the Damon Runyon Cancer Research Foundation. Since 2006, she has been an Assistant Professor of Chemistry and Chemical Biology at Northeastern University in Boston. Her research on DNA damage tolerance is funded by a Camille and Henry Dreyfus Foundation New Faculty Award, a Cottrell Scholar Award and an NSF CAREER Award. 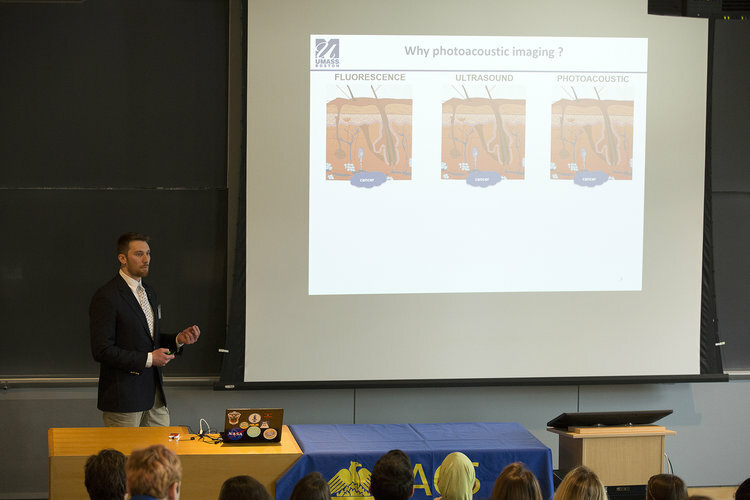 Prof. Beuning has been active in efforts to enhance the recruitment and retention of groups traditionally underrepresented in the sciences; she is currently the President of the Boston chapter of Graduate Women in Science. Ruth Tanner, Ph. D. Ruth Tanner earned her BS in chemistry at Purdue University and a Ph. D. in Physical Organic Chemistry from the University of Cincinnati. She is currently a Professor Emeritus at the University of Massachusetts Lowell. In addition, she is currently a councilor for the Northeastern Section of the ACS, and served as the Chair in 2012. Her research areas include Physical Organic Chemistry and Food Chemistry. She is a founding member of the NESACS/GDCh German Exchange committee and also serves on the New Hampshire and South Eastern Massachusetts Subsection Exploratory Committee. Oral sessions and registration will be in 129 Hurtig Hall. 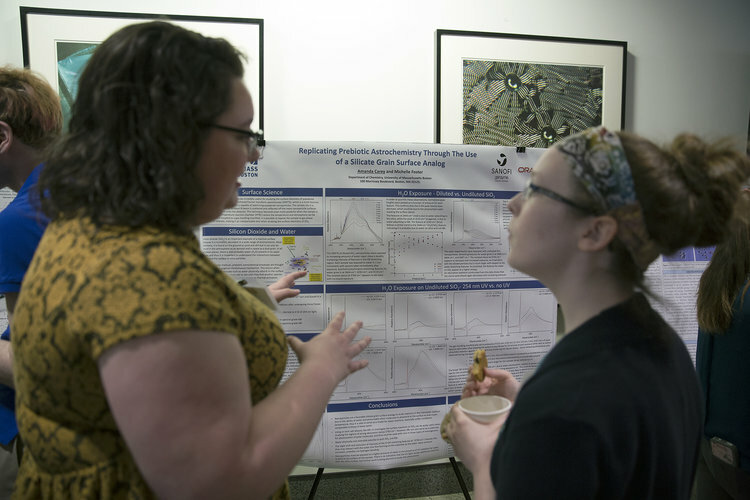 Poster sessions, breaks and awards will be in the Curry Student Center’s Indoor Quad. 2:30pm – 3:30pm Keynote Address by Professor Daniel Nocera of Massachusetts Institute of Technology:“Powering the Planet: The Challenge to Chemistry in the 21st Century”.